I remember the times when there were no heat maps available. And when they were a part of an expensive toolset. And then they became affordable. And never again did I do any project that didn’t have heat maps set up and configured as one of the very first steps. And I’ll never go back. 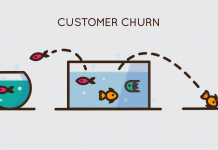 Today’s article is from Hotjar, one of the companies that made this possible and ubiquitous. They really do know what they’re talking about. The guide will take you through the what, the why, the how, and even the when and where of using heat maps. It also has real case studies and examples, so you can see for yourself just how valuable and useful heat maps are when it comes to improving and growing a website. When people get on your website but struggle to find or use what they’re looking for, they get frustrated by the experience; worst-case scenario, they leave your website without ever coming back. ‘Heat map’ is really an umbrella term for three main different types of tools: scroll maps, click maps, and move maps. See if your visitors are clicking on the main links, buttons, and CTAs that allow them to take action on the page, or if they are ignoring something you’d rather they focused on. 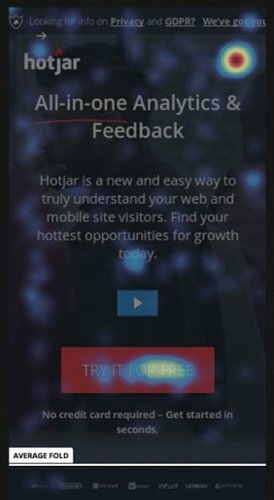 Hotjar has an employer Glassdoor rating of 5 out of 5. That’s an excellent social proof element for prospective candidates—yet, 4 out of 5 people who get on the page will never know about it. What happened as a result of this scroll map? They had moved elements around on the page, and will be using heatmaps again to decide where the very best place for the Glassdoor button is. 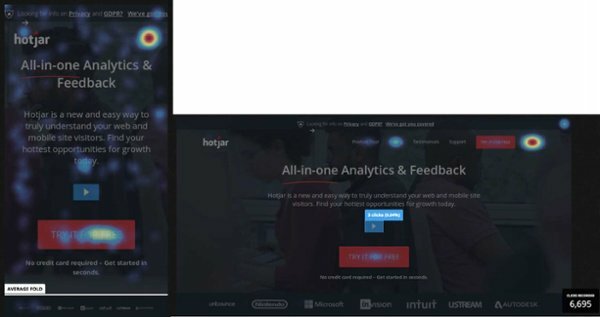 Shortly afterward, Hotjar started testing a new homepage—and no, this one did NOT have a video. 🏆 Pro tip: if and when your page design changes, start a new heat map so you can revisit the old version and compare it to the new one. Heat maps are great, but at the end of the day what matters is the end result. Taskworld is a project management solution that relies on their sign-up page to convert leads into users and customers. 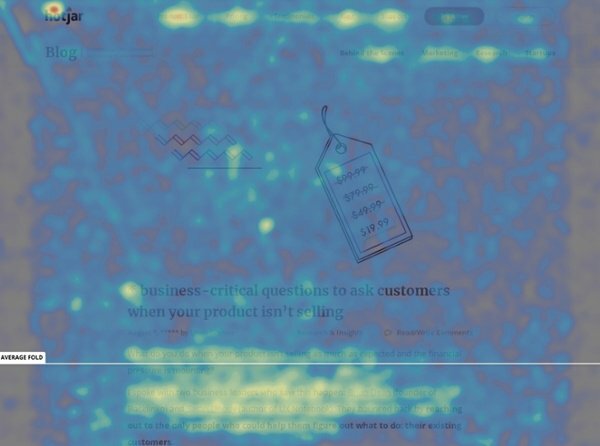 To understand how users were interacting with the page—and how the team could improve it immediately—they used heatmaps. The click map reveals three issues. 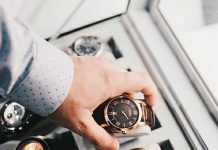 The team also saw that everybody who bypassed the time zone selection got given an error message, and some users became frustrated and dropped off as a result. The heatmap on the left shows what the mobile category page used to look like. 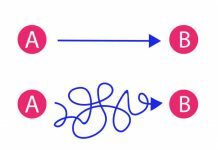 People tended to scroll really deep down the page, but this was not a good thing: visitors were scrolling not because they enjoyed its content, but because they could not find what they were looking for. The full article (link below) also contains detailed instructions on how to set up the heat maps, step by step. 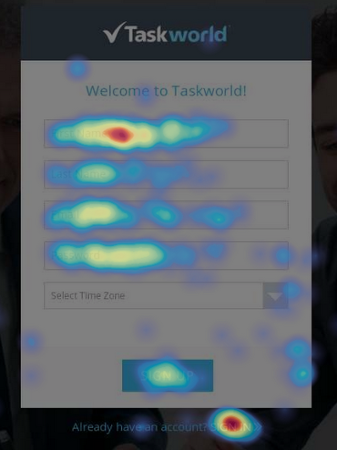 To summarize: with heat maps you can see at a glance what is happening, and what is not happening on the page. In my opinion, it’s one of the best tools that provides the most information in the least amount of time. It’s what I start every project with. Once I know what’s not working I can start digging and figuring out why. Without it, I wouldn’t know what to fix and where to start. PS. Most useful heat maps: move map and click map. From my experience move maps (tracking the users’ mouse movement) are pretty much where people look at on the page. When you know where they look at, with what intensity, and what they overlook, it’s easy to start making changes to make them look at important stuff.